Browsing through templates for powerpoint and google presentations, I came across a Halloween template in Slides Carnival that was just too beautiful to ignore. 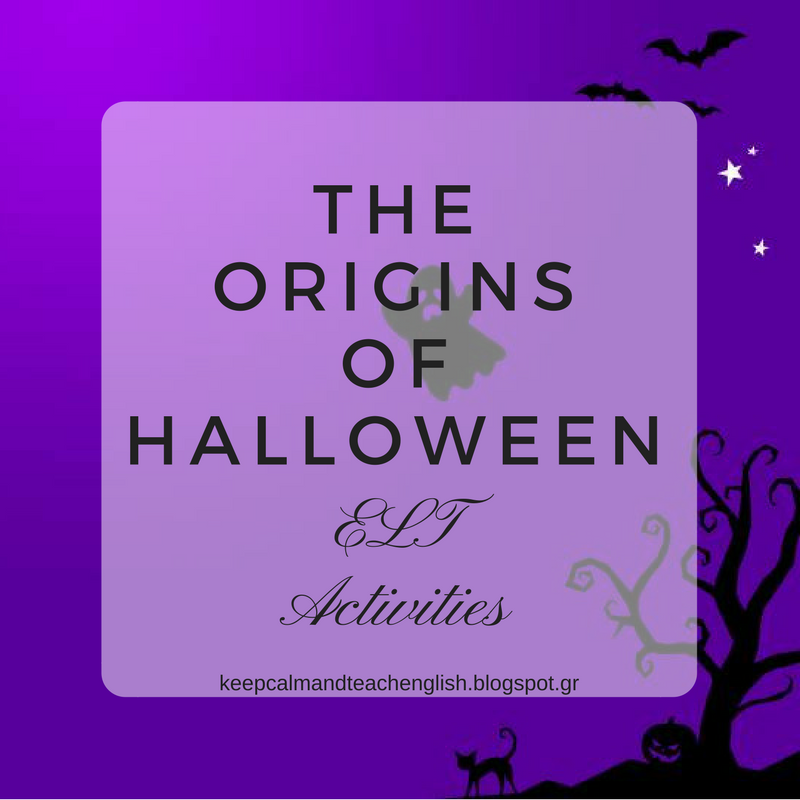 So I transferred one of my older lessons about the origins of Halloween into these slides making a few changes. For example, I added a KWL chart at the beginning of the lesson to activate students' interest and have them ask their own questions about this popular custom. 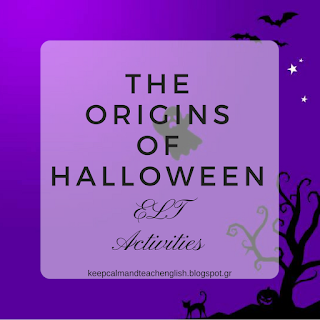 Questions such as: Why do people celebrate Halloween?, Is it really an American tradition?, Who was Jack-O- Lantern? and many more can be answered in the text. I also changed some of the True - False questions to make them easier to remember as students are not going to have a printed version of the text. The crossword can be downloaded separately. If you've used it, how did the lesson go? Let me know in the comments below!